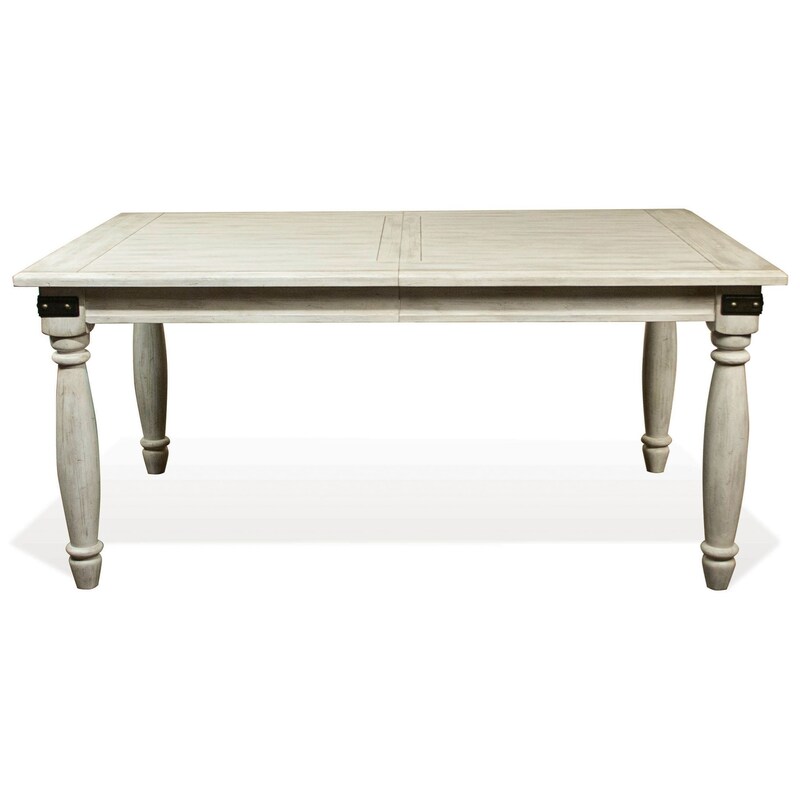 Give your home a pastoral atmosphere with this beautiful rectangle dining table. 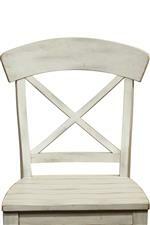 The piece is constructed of hardwood solids and veneers in a clean farmhouse white finish. It includes an 18" table leaf to extend the surface from 66" to 84" so you can seat even more of your friends and family. 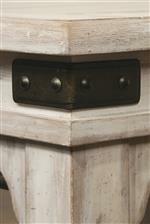 Stylistically, this table features a plank-style table top to reinforce the rustic look, while metal bracket accents around the corners introduce an industrial touch. 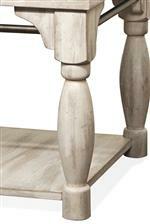 Furthermore, the turned legs bring some traditional styling into the mix, making for a piece that you'll cherish for many years to come. The Regan Rectangle Dining Table with 18" Table Leaf by Riverside Furniture at Furniture Fair - North Carolina in the Jacksonville, Greenville, Goldsboro, New Bern, Rocky Mount, Wilmington NC area. Product availability may vary. Contact us for the most current availability on this product. Leaves One 18" Table Leaf Extends Surface from 66" to 84"